The risk of being infected with rabies in Cambodia is very high but people have not paid much attention until a video depicting a dying 10-year-old Cambodian girl infected with rabies, after being bitten by a cat, went viral on social media earlier this month. 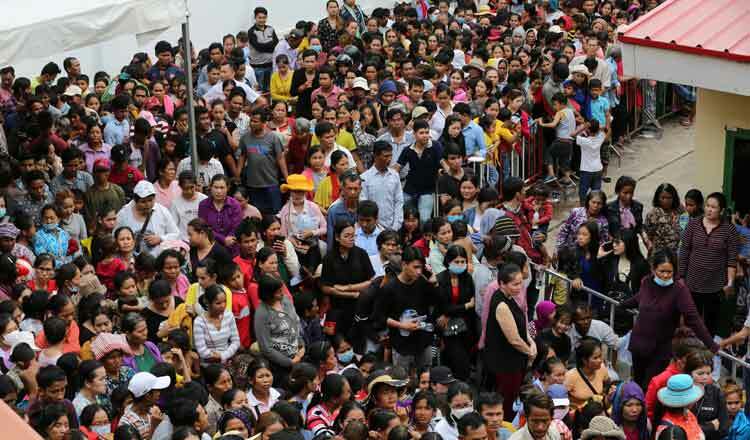 Panic-stricken Cambodians by the thousands are now lining up outside Pasteur Institute in Phnom Penh seeking vaccinations against rabies. Meanwhile, animal welfare advocates are worried that the fear of rabies could put both dogs and cats at risk of being killed and abandoned. Taing Rinith reports. The parking lot at Pasteur Institute in Phnom Penh (IPC) is so crowded that many have to park their vehicles in a café and a restaurant across the street. The security guards are yelling at those who try to get their motorcycles into the fully packed lot. One could not get into the institute without pushing his or her way through the throngs of men, women and children, who have come here to get vaccinated against rabies – a deadly virus spread to people from the saliva of infected animals like dogs, cats, bats and monkeys. Just about 9 in the morning, thousands of people are already inside the institute’s compound and lobby, many of whom have been waiting for as long as two hours. As the staff call out the numbers, most of the people lining up complain because their turns are still very far. They have come for pre-exposure vaccinations for themselves or their children, only to be asked to go back home by the staff. “We ask them whether the dogs or cats who bit them were still alive around one week after their attack. If they are still alive, we ask them to go back home because they have no risk of getting rabies. However, most of them do not want to go back home because they are afraid they or their children will suffer the same fate like the Cambodian girl, whom they saw on Facebook, who died from rabies after being bitten by a cat. One of the people there is Oeun Sreyon, a Kampong Cham resident, who came to IPC to have her 8-year-old daughter vaccinated because she was bitten by their neighbour’s puppy a week ago. Before the doctor gave her daughter the vaccine, he had asked Sreyon if the puppy was dead yet, and she said it died briefly after it attacked her daughter “while she was playing with it”. It is obvious that the video that went viral on social media is far more effective than guidelines from the government or the Ministry of Health. This could be a positive sign for Cambodia, in which rabies, the most lethal disease known to man, is endemic since there are about 5 million dogs in Cambodia with rabies circulating widely among them, according to Dr. Victor Ti, an experienced expat specialist generalist (Family Physician) of BH Clinic, Phnom Penh. However, Dr. Ti also expresses his worry about the lack of vaccines when so many people sought them at the same time like this. Meanwhile, many of those who have come to IPC were attacked by dogs and cats a long time ago, but they still demand vaccinations because of their fear of the deadly disease. Ly Sowath, Pasteur Institute deputy director, says he was “too busy” to talk with Good Times2, but according to a 2009 research paper in which he is a leading co-author, “data are lacking to properly quantify the burden of the disease in animals and humans” in the country. The paper also says that the sources that provide Cambodian people with free prevention and treatment are very limited. “Since 1998 the Institute Pasteur in Cambodia (IPC) in the capital city of Phnom Penh (estimated 2007 population 1.4 million) has been the only source of free post-exposure prophylaxis (PEP) and for human and animal rabies laboratory diagnosis,” it says. Many patients, therefore, have to count on private clinics and hospitals for vaccinations. At the same time, those who are too poor cannot afford them. This matter is now so grave that even the head of government has to address it. On Monday, Prime Minister Hun Sen called on the public not to panic over rabies and “simply seek vaccinations although they have not been bitten by infected dogs or cats”. 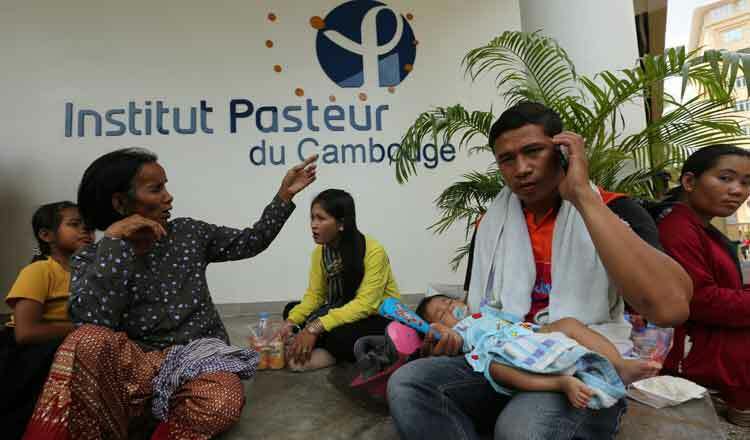 “Some people were not bitten by dogs, but they also came to get vaccinations, which was not necessary for them, from the Pasteur Institute of Cambodia and other places, which become crowded,” the premier points out. Prime Minister Hun Sen advised that the best measure to prevent rabies is to avoid getting bitten by dogs and cats by not playing with the animals. In the meantime, animal welfare NGOs have been worried about the lives and welfare of the animals in the Kingdom, especially after current reports on animal abuse on social media, caused by the fear of rabies. In one incident, a man blinded a pet poodle because he thought she was going to bite him. Phnom Penh Animal Welfare Society (PPAWS) has been giving free vaccines against rabies to pets and stray animals, which they called a better solution to rabies problem in the country. On Monday this week, they gave 80 vaccinations while it used to be only around 10 or 20 before. “Expense, inaccessibility to vets and the lack of knowledge have been the main reasons people do not get their pets to be vaccinated,” says Caroline Fitzgerald, the PPAWS Practice Manager. Fitzgerald adds she could not imagine a world where dogs and cats turned “the people’s enemies” and hopes Cambodian people will calm down soon. An owner of a dog and a cat himself, Dr. Victor Ti says dogs, cats and other pets have been people’s best friends for ages, and the fear of rabies should not separate them.